North Star shines in Wales! 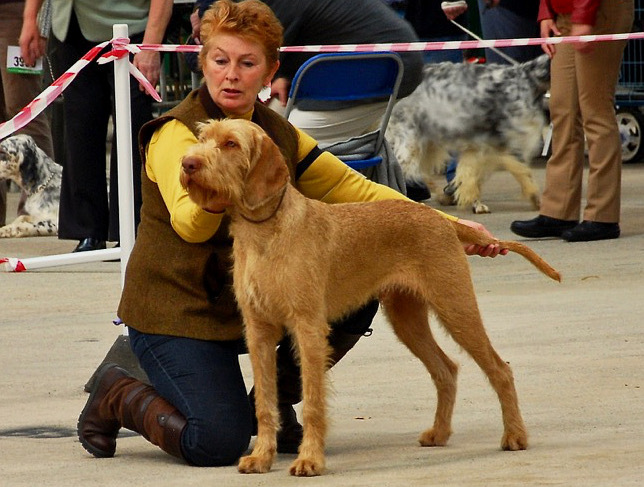 | Belatarr Hungarian Wirehaired Vizsla. North Star shines in Wales! A good few hours later North & Irene also took a fantastic Gundog Puppy Group 2 under judge Terence Balfour-Burgess – one of the highest awards ever achieved by any HWV puppy in the UK. North freestanding beautifully in the Gundog Group. We’re just thrilled by this super-joyful, happy boy who just loves everything that he does (in any out of the ring!) and never fails to make everyone smile. Many congratulations to Irene for her second huge Champ show Group award of 2015 too!! Entry filed under: Belatarr, Hungarian Wirehaired Vizsla. 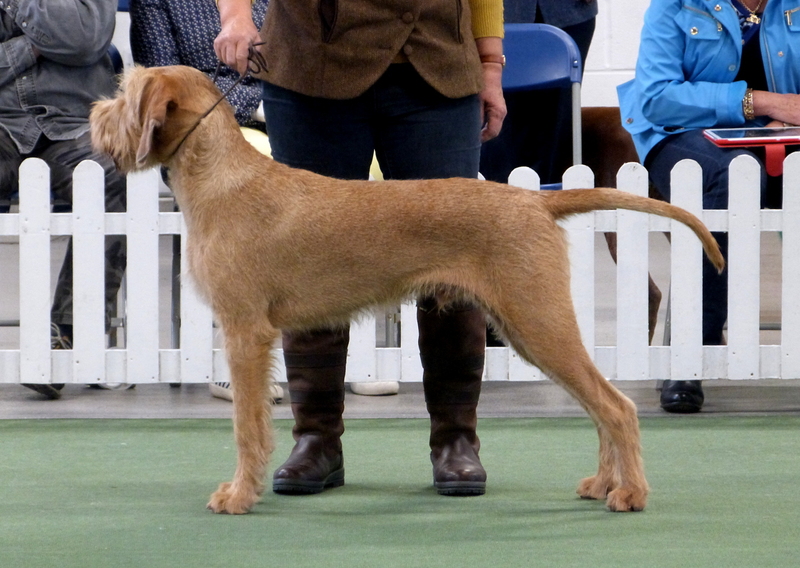 Tags: Belatarr, Belatarr North By Northwest, Championship Show, Gundog Society of Wales Championship, Hungarian Wirehaired Vizsla, HWV puppies, Showing, South Wales Kennel Association Championship, Stacking, Wirehaired Vizsla. Richmond & Darlington Championships: more wins for Billie. Charlie’s winning weekend.